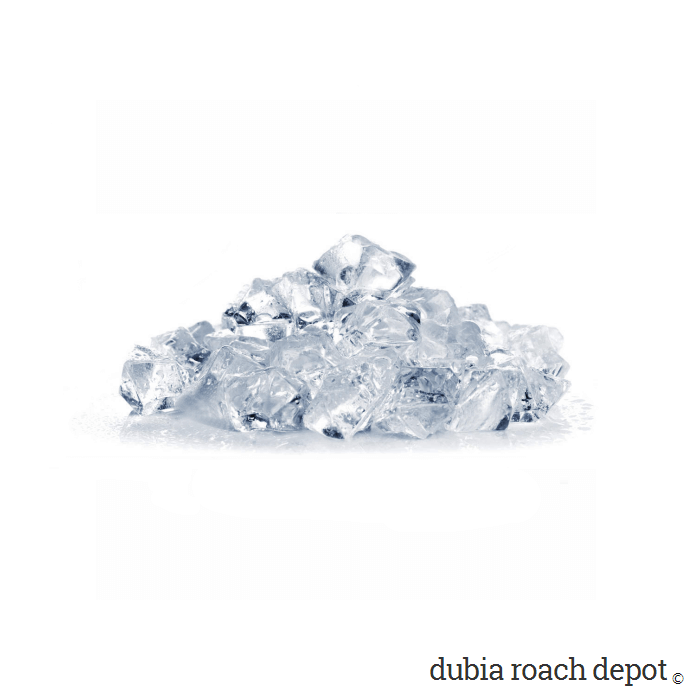 Polymer crystals are a good water source for roach hydration and enclosure humidity. They're clean, safe, a little goes a long way, and they can last a very long time. Whatever is not consumed by your roaches can be re-hydrated when they dry out. 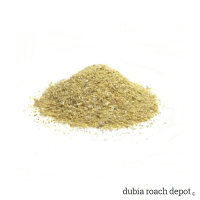 Dubia roaches can go weeks without food but they can’t survive long without water. Water crystals are an excellent way to hydrate your roach colony. This is especially true for those who don’t provide a constant supply of fresh fruits and vegetables to their colonies. If you live in a dry climate or have low humidity in your home – which come to think of it is just about everybody with central heating and cooling – we recommend water crystals to boost the humidity. Dubia roaches don’t need especially high humidity to survive but they do tend to be picky when it comes to breeding. Production will slow when their air is too dry. Water crystals have been around for a while. They’re made from a non-toxic, superabsorbent polymer that absorbs many times its own dry weight in moisture and can last a very long time. In gardening they’re mixed with soil to increase the moisture content and can work for up to six years. In our experience, water crystals dry out faster in small enclosures and when using the smaller crystal sizes, but one of the great things about them is that when they dry out they can be rinsed off, then re-hydrated and reused. You have to be a little careful when you do this though. Mold is bad news for a colony and excessive moisture and dirty water should be avoided. We have two sized crystals: medium and large. They work the same for the roaches so it really comes down to your own personal preference. We like smaller crystals in our large enclosures because they mix faster, fill the bowl more completely, and are generally consumed before they dry. The larger crystals are better for smaller colonies and for holding tanks with fewer roaches because they take longer to dry out and are easy to rehydrate. If you don’t have a preference we’d recommend the larger size just because it seems to be what a lot of people like, but again that comes down to preference and your own unique situation. We think the roaches probably don’t care one way or another. If you have any questions about which size to choose please let us know. 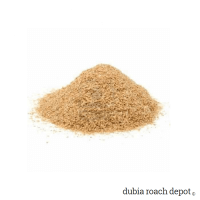 Amazing prices, lightening fast shipping, healthy roaches, wonderful customer service, plus a wealth of information on caring for and breeding dubia roaches. All these reasons and more are why I recommend you guys every chance I get to the bearded dragon group I admin on. I am careful about recommending suppliers because I want the best for our members and there have been some issues with other feeder places and some members, but I have no reservations about recommending this company. You guys are awesome. Thank you for all you do!